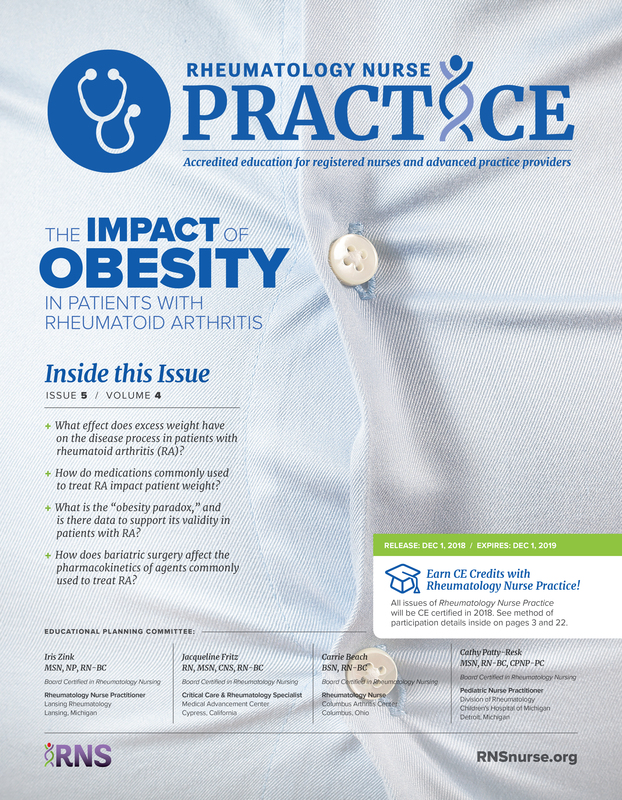 In this issue of Rheumatology Nurse Practice, we’ll look at the association between obesity and rheumatoid arthritis and how the presence of excess weight impacts patient experience and response to disease modifying anti-rheumatic drug therapy. 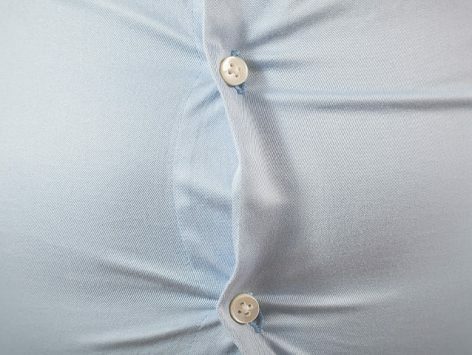 We will also briefly address current thinking surrounding the “obesity paradox.” Lastly, we will explore approaches to weight loss in patients who are overweight or obese and the general benefits of weight loss in this population. Iris Zink, MSN, NP, RN-BC, has disclosed the following relevant financial relationships specific to the subject matter of the content included in this educational activity: AbbVie, Crescendo Biosciences, Horizon/SB; Pfizer/C. Carrie Beach, RN-BC, BSN, has disclosed the following relevant financial relationships specific to the subject matter of the content included in this educational activity: Pfizer, Horizon, Novartis/A. 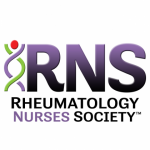 Cathy Patty-Resk, MSN, RN-BC, CPNP-PC, has disclosed that she does not have any relevant financial relationships specific to the subject matter of the content of the activity.